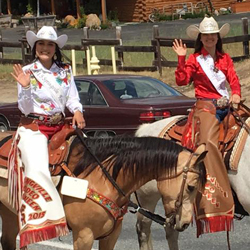 You and your group are cordially invited to participate in the fun and excitement of the Springville Sierra Rodeo Parade on Saturday, April 27 at 2 p.m. Awards are provided to participating groups. Parade check-in: Springville Veteran’s Memorial Building, 35944 Hwy. 190, Springville, CA, beginning at 1 p.m. Parking for pick-up of participants: Springville Elementary School, 35424 Ward Avenue, Springville. Please complete the following form. You will receive a confirmation email; please check your spam folder if you don’t see it in your inbox.